Andrea Oberto grew up working on his family’s farm in the small town of La Morra but spent the early part of his adulthood as a truck driver outside of the family business. 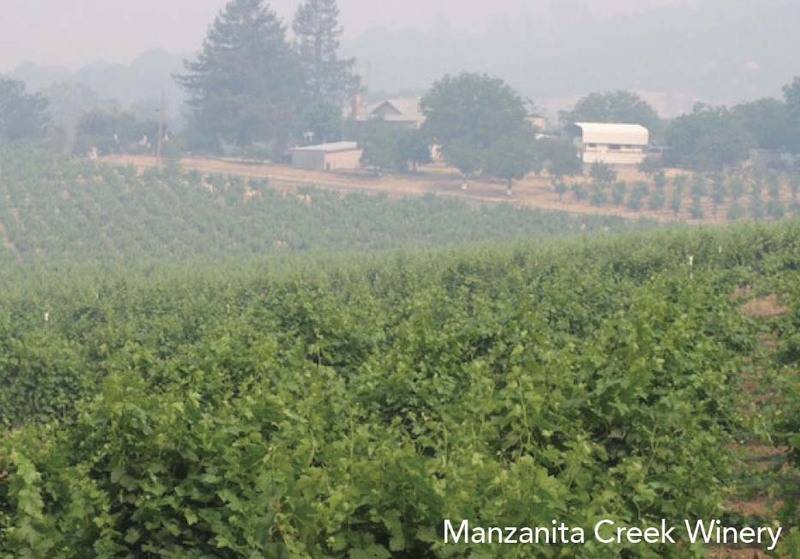 When his father passed unexpectedly, he returned home to manage the farm and devoted his life to tending to the vineyards. In 1978, Andrea shifted the estate’s focus from supplying fruit to the local co-ops to bottling their own wines. Today, the Andrea Oberto estate continues to be a family-owned operation. 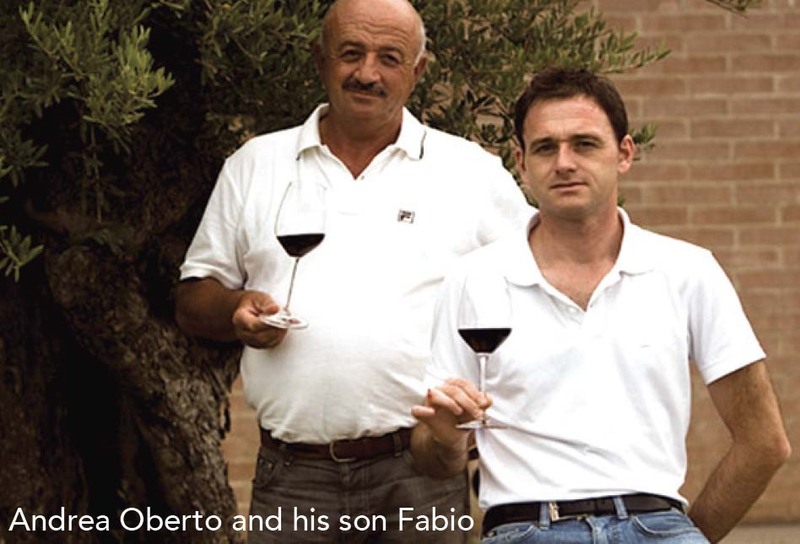 Andrea works the land, while his son Fabio operates the winery. Founded in the 1960s, Centorri wine is produced by Eleanor Estate. Located in Castiglione Tinella (Asti) in Piedmont. In 2003, the estate began producing its own Moscato in the Province of Pavia. Eleanor Estate is referred to as “the ladies of Moscato” because the property is owned and managed entirely by women. Eleanora Brangero, for whom the estate is named, is the winemaker and also runs the estate with her mother (Emiliana), and grandmother (Camilla). Cantina Enrico Serafino was founded in 1878 in Canale d’Alba, a farming centre with a long history that can be traced back to the early Middle Ages. Established by businessman and landowner Enrico Serafino, the winery soon became one of the most important in Piedmont and among the first to sell the region’s classic wines throughout Italy and abroad. The estate is characterized by the production of the classic Piedmontese wines of the area, first and foremost Roero, Arneis and Barbera, but also the noble, elegant Barolo and Barbaresco, made from Nebbiolo grown on the neighbouring Langhe hillsides. Marchesi di Grésy is made up of four estates situated in the Langhe and the Monferrato zones and is recognized for producing many of the Piedmont region’s greatest wines. In the late 1960s, Alberto di Grésy began supervising the family’s agricultural operations. In 1973 he began making his own wine, adhering to the highest quality standards and respect for terroir. Alberto di Gresy possesses one of the most treasured vineyard sites in all of Piedmont. Martinenga lies in the heart of Barbaresco and is planted to the rosé clone of Nebbiolo. Founders, owners, and winemakers at Salerno Healdsburg Estate Winery, D.O.M.. William and Jack Salerno produce world-class wines under Manzanita Creek Winery, Lex Julia Wine Company and Silhouette of Sonoma Wines. The winery production facility is at the north end of the quaint town of Healdsburg in Sonoma County, California. William and Jack moved to Sonoma County in 1996 to pursue careers in the wine business. Having been raised in their family’s retail department stores, and in business for themselves from the early 1970s, their entrepreneurial spirit was the perfect training to build a thriving winery amidst, arguably the best and most competitive wineries in the “New World”. 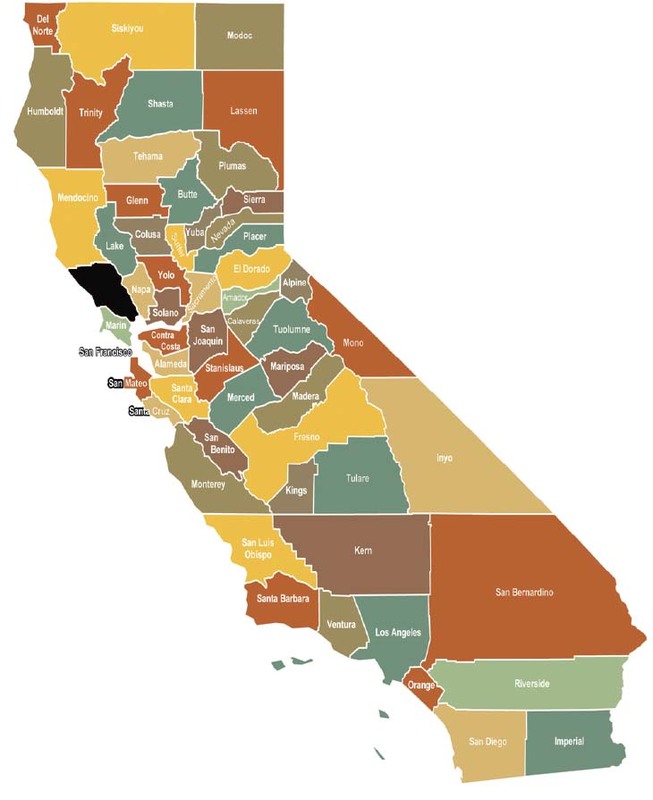 Sourcing grapes from some of the finest and most sought after vineyards in Sonoma County, as well as proven stalwart vineyards in Mendocino County, the Brothers have proven themselves to make some of the top wines in their respective classes. “William and I have always strived to the best at what we do, we have a no holds barred approach to any challenge we face….we we’re challenged to make the best, and that’s what we do.” The Brothers Salerno continue to seek out new varietals and are always looking at ways to exceed at bringing their best to their fans. Pale sunshine yellow color, with a slight fizzante. This Moscato has intense aromas of peaches, rose petals and ginger. On the palate, it is delicately sweet and sparkling, with modest acidity, good balance and complexity with a finish of fresh apricots. Pairs nicely with desserts, cheese courses, charcuterie or antipasto plates. Can also pair with spicy Asian fare. Deep ruby red in color with bright violet nuances. Light vegetal aroma recalling green wood and ripe berries. A warm mouth referred to high alcohol content doesn’t keep the wine from being very pleasant and drinkable. The bottle should be kept laying down and uncorked at least 1 hour before tasting. Pair with elaborate savory appetizers and tasty pasta dishes. The 2015 Barbera d”Asti shows the heat of the vintage. Barbera loves a warm growing season, and it quickly develops opulence and exuberance in the final weeks before harvest when the temperatures are warmest. This wine reveals sweet softness and jammy aromas of blackberry fruit, prune and cherry confit. That characteristic Barbera freshness kicks in at the end. Pair with rich dark meats, mushrooms, herbs, herbaceous cheeses. Pale straw yellow color with fresh floral, citrus and melon aromas with hints of almond. An unoaked, dry, medium bodied white wine with crisp acidity. Well balanced, elegant wine with good complexity and a lingering finish. Great wine with which to finish the summer. Pair with pork, chicken and creamy cheese. Color is garnet red, brilliant, with orange hues. This wine has a bouquet that is intense and harmonious, reminiscent of wild wood berries, strawberries, and sour black cherry jam with a pleasant balsamic note of cloves. The taste is full, harmonious, with good complexity and persistent aftertaste. Pairs with red and white meats, richly seasoned, or with mature cheeses. A great wine to share with friends at a formal dinner. The wine is aged for 24-30 months in oak and then all parcels are carefully blended before bottling. Beautiful glowing ruby. Fine earthy nose. Succulent palate with a powerful tannic structure. Really long and a little vibrant. Firm, long red-fruit finish. –WS. Pair with Hearty Stew, wild game, roasted red meats and cheeses. An excellent choice for the welcoming of fall. Half of Piemonte, which means “foot of the mountain,” lies in the great arc of the Alps and the Apennines, from which the Po River flows east through its broad valley to the Adriatic. Bordering Switzerland and France, Piemonte was part of the Frenchspeaking principality of Savoy between the 11th and 18th Centuries. The ancient Liguri tribes first cultivated the wild vines of the Apennines and later learned wine making from the Greeks about 600 BC. In the 19th Century, the wines of Piemonte gained distinction when the Savoy and others began to use French methods. 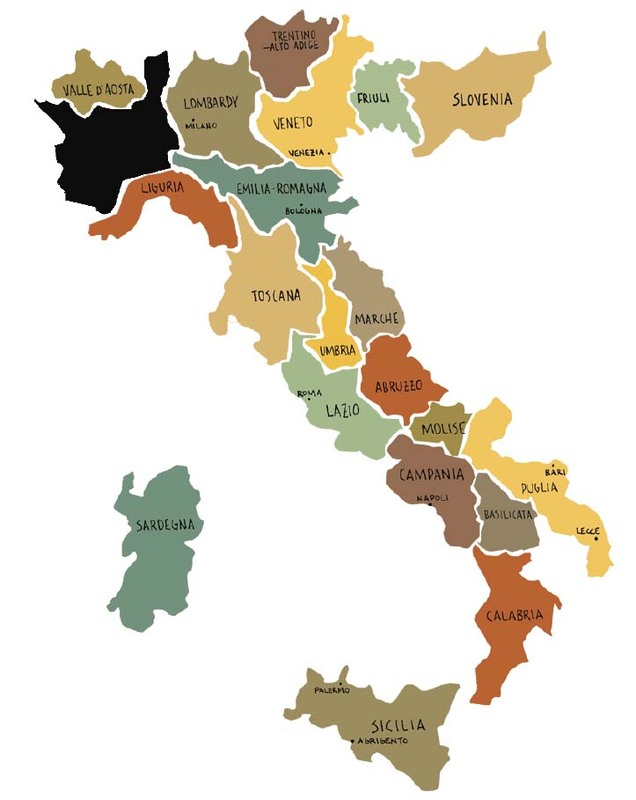 Piemonte has 58 DOC and DOCG zones, more than any other region. In the Langhe hills above the town of Alba are the vineyards of Barolo, one of Italy’s most prestigious wines, “the king of wines and the wine of kings,” although Barbaresco may be its equal, both wines made from the noble Nebbiolo vine. Barbera and Dolcetto are popular reds. Whites are equally prominent. Asti Spumante from Moscato d’Asti is the nation’s second DOCG in volume after Chianti. Among still whites, Gavi from the Cortese grape is highly regarded along with Arneis. Dark, brooding, inky color. On the nose, lots of dark fruit-principally blackberry preserves with a nuance of mint. Highlights of toasty barrel notes culminating with a dash of cracked, black pepper. On the palate it is rich and mouth filling, smooth with a prolonged an engaging finish. Pair with Grilled meats, pasta, pizza, cheese. Rich, full-bodied chardonnay that throws everything at you all at once. Pretty tropical, citrus apple aromas in light floral notes and a wallop of oak and butter. Pair with Poached Salmon, Smoked Salmon, Pasta Vongole, Oysters. Multiple award winning wine. Deep nose of classic zin aromas-black raspberry, cherry, anise, plum, pepper spice and dried black fig, with whiffs of smoke, vanilla and toasty oak. The palate does not disappoint. This is a mouth-filling, full-bodied zin with lots of spicy character and a wonderful long, lingering finish. Pair with BBQ, Spicy Asian foods, or stand alone. Classic Jammy Zin, lush without being heavy, and gorgeous dark fruit notes. Blackberry, blueberry and plum notes on the palate with a juicy, mouth-watering finish. A new favorite in our tasting room. Pair with a hearty steak, rich red sauce pasta dishes leg of lamb, or a big, hearty meal. The aromatics of the Sauvignon Blanc are stuffing: pink grapefruit, early white nectarine and a hint of lemon blossom. The wine itself is clean, crisp, and refreshing with a beautifully bright acidity and great balance. Pair with goat cheese, green vegetables, oysters, and delicate fish like sole. Flatters a fresh salad with a mild vinaigrette. 98 Points Double Gold Best of Class, 2017 California State Fair. Deep color aromas of Blackberry and fig with a hint of toasted spice. Mouth watering-lip smacking mid pallet that makes your palate tingle. The finish is firm and smooth. Drink through 2027. Pair with leg of lamb, a nice steak, rich pasta dishes. Perfect wine for a hearty meal. Double Gold-Best of Class, 2014 Long Beach Gran Cru International Wine Competition. This wine has a beautiful purple hues and lovely floral and black currant scents. It’s well-structured with a good background minerality and a beautiful fruit intensity without any heaviness. An elegant, pure and well textured Cab Franc. Pair with a blue cheese burger, slow cooked beef stew, filet mignon with a rich balsamic glaze, and roasted vegetables. Dipping Sauce: Combine 1 Tbsp. brown sugar, 2 Tbsp. peanut butter, ½ tsp. crushed red pepper, 1 clove garlic, minced. Stir in ½ cup soy sauce. Pour through strainer into serving dish or pitcher. In large bowl, blend soy sauce with peanut butter. Stir in brown sugar, curry powder, lemon juice, red pepper and garlic. Add pork cubes. Toss to coat sides evenly. Cover and chill for 4 hours. Meanwhile, prepare Dipping Sauce. Cover and set aside. Thread pork cubes on skewers. Broil 4 to 5 inches from flame for 15 to 20 min. or until well done. Serve immediately with the Dipping Sauce. Peel bananas. Brush with lemon juice. Melt butter in skillet or chafing dish. Stir in sugar. Heat, stirring until sugar melts. Add bananas in single layer. Sauté about 3-4 minutes, turning once. Pour banana liqueur over all. Over low heat, heat in sauce-pan until warm. Pour over bananas. Remove from heat. Carefully ignite with lighted match, shaking pan back and forth. Spoon flaming liqueur over bananas until flames die down. Serve immediately with whipped cream or vanilla ice cream. Sprinkle with cinnamon or nutmeg.